and nap against translucent crystals. Love terrariums! They are such fun. They are like a tiny little world for fairy folk! Yes, exactly as I see it. They are so beautiful. 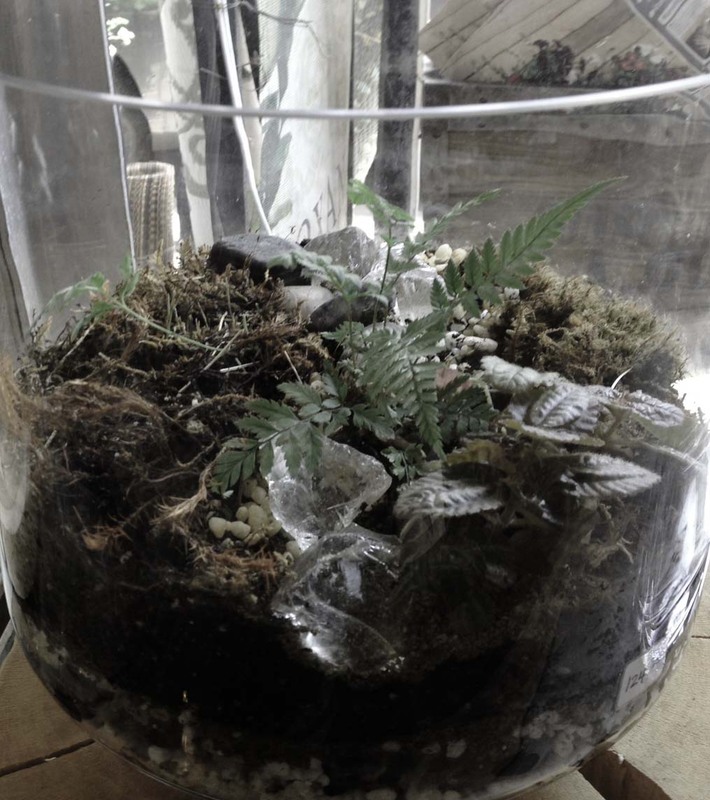 Years ago (in the 70″s) my aunt made me a terrarium. It had little deer and mushrooms inside. I can’t even tell you how much I loved it. It is exactly a fairy garden. I would love to have one now. How very cool that your daughter made one for school. Learning to make terrariums is on my to-do list, love those things! I would very much like to learn. Good luck to you!